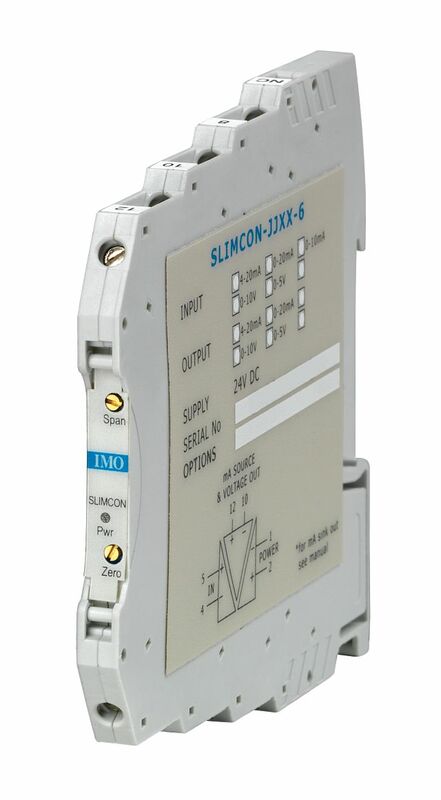 Signal Converter/Isolator, 24VDC, Body Width 7.2mm, INPUTS: 0-20ma, 4-20ma, 0-10ma, into 5 ohm-11ohm. OUTPUTS: DC Current (sink or source) and Voltage, 0-20ma, 4-20ma, into 500 ohm, 0-10V, 0-5V, into a minimum 100K ohm. The SLIMCON family of isolating Signal Converters can accept a range of inputs including 4-20mA and voltage signals. The unit produces a high level DC output of either voltage or current.